The history of cord blood in medicine is relatively brief. However, since its inception in medicine, cord blood has developed into approved therapy in the treatment of over 80 illnesses. Cord blood is increasingly important in regenerative therapies. Despite this many parents are still unaware of its importance and are unable to make an informed choice surrounding their baby’s cord blood. History of Cord Blood Timeline. 1988: The world’s first successful cord blood transplant. The world’s first successful cord blood transplant treats a 5 year old boy with Fanconi Anaemia. The boy, Matthew Farrow, receives his new-born sister’s cord blood in Paris. Pablo Rubinstein founds the world’s first public cord blood bank in New York. An inventory of cord blood units is built up for patients in need of a stem cell match from a public registry. What would become the world’s largest cord blood bank was also opened in the United States. The first unit placed in long term private storage belongs to the founder’s son . The world’s first unrelated cord blood transplant is performed by Dr. Joanne Kurtzberg. The procedure uses cord blood from public cord blood bank, the New York Blood Center. Following the lead of the American’s, the United Kingdom opens a public cord blood bank. 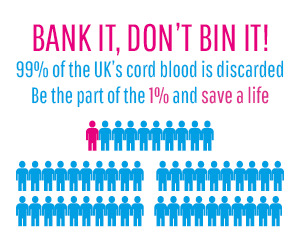 The NHS Cord Blood Bank is established, allowing parents in the UK the opportunity to donate their baby’s cord blood for the first time, albeit at select hospitals . A patient at The Royal Marsden hospital receives a cord blood unit from the NHS Cord Blood Bank, the first to be allocated to a UK patient . The UK’s first private cord blood bank also opened in this year. The world’s first whole blood and cord tissue bank opens in the UK. Parent’s choosing private storage now have the option to maximise the stem cells stored at birth. Clinical trial use of cord blood stem cells in stroke, cerebral palsy, and brain damage begins . A study estimates that 1 in 3 people could benefit from regenerative therapies . 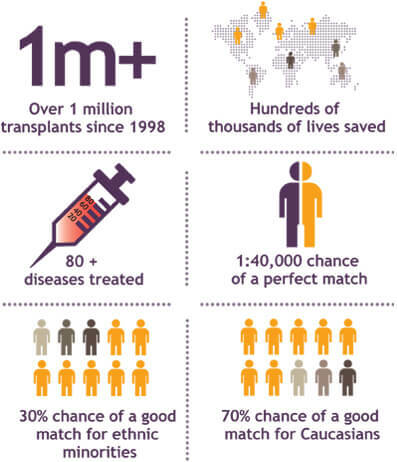 By 2008, an estimated 7,000 – 8,000 cord blood transplants have taken place worldwide . Dr. Joanne Kurtzberg begins a clinical trial to investigate the application of cord blood in the treatment of cerebral palsy . The amount of cord blood transplants has quadrupled as more than 30,000 have been performed worldwide . The NHS Cord Blood Bank issues its 500th cord blood unit . Today there are over 1,200 clinical trials investigating the application of cord blood in medicine . In addition, there are over 5,000 clinical trials investigating the role of stem cells, discoveries from these trials could influence cord blood research and the use of cord blood. Cord blood is the new kid on the block in terms of stem cell sources. However, it is proving to be an increasingly popular choice in transplant medicine. A recent study even showed that patients who received cord blood had better outcomes than those who received bone marrow, read more about that here. Research also aims to unleash the potential of cord blood in regenerative therapies. Duke University have received funding to expand their cerebral palsy clinical trial to also cover autism, brain injury, and stroke. While the history of cord blood is brief, it is exciting. If the last 30 years are anything to go by, the next 30 should be extraordinary. Find out more about cord blood banking for your family here.